The perfect sweet treat to remember your trip to Dartmouth, we can also send fudge by post, which makes for a moreish and memorable delivery (4 Bar Gift Box £13.50, get in touch via email to place orders or find out more). 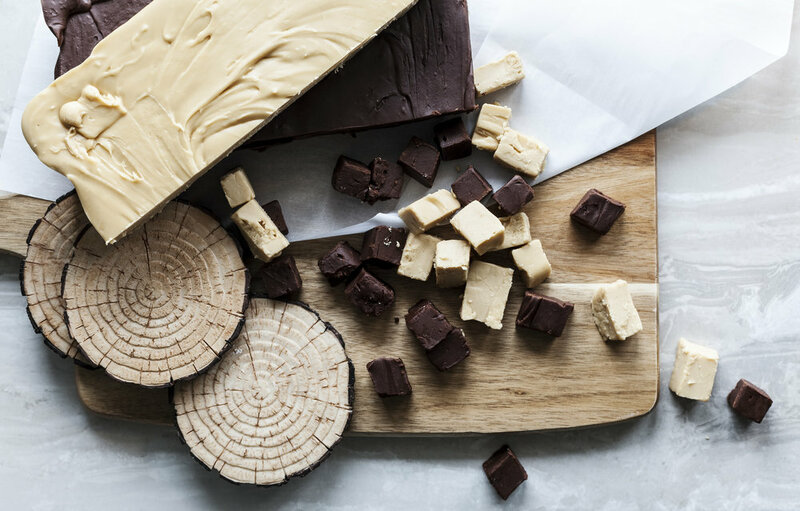 Our fudge flavours include Clotted Cream Vanilla, Chocolate, Honeycomb, Rum & Raisin, Chocolate Orange, Cornish Sea Salt, Baileys, Chocolate Mint, Oreo, Cherry & Walnut, Rocky Road, Raspberry Swirl, Stem Ginger, Maple & Walnut, Strawberries & Cream and many more. We can also create bespoke flavours of fudge to add that personal touch to special occasions and events. 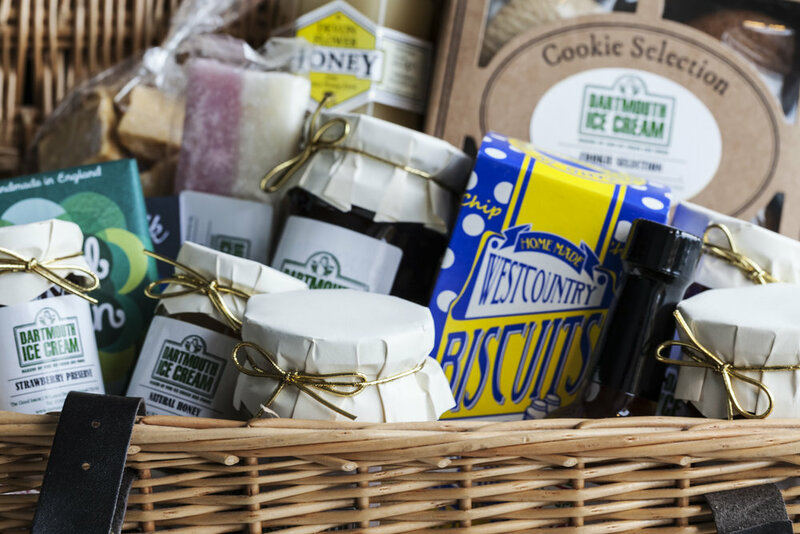 Bursting with gift ideas, our flagship store has an array of delights on offer including handmade chocolates, jams, pickles and preserves, clotted cream by post, build your own hampers and more. Take home tubs of our ice cream are available so you can enjoy delicious Dartmouth Ice Cream from the comfort of your home. We offer a huge variety of old-fashioned pick and mix sweets. These are great for wedding favours, children parties and various events.